New Zealand's leading producers leads the world in the supply of sustainably managed, low emission engineered board. Setting the standard in the Kitchen Industry for market leading colour choice, affordability and durability - they will look great for years to come. As mentioned above board used in our cabinetry is sourced from New Zealand suppliers. Why is this important? New Zealand has lead the way globally in the production of low emission engineered wood products like MDF and Particle Board. Sourced from New Zealand's sustainable Radiata plantations, wood fibre from timber processing is re-engineered in to Particle Board and MDF. Historically New Zealand exported these products to the exacting Japanese market - therefore producers have lead globally in the manufacture of healthy low emission board. Special (meaning expensive!) drying equipment and resin is needed to produce to this quality. When you buy New Zealand there are not risks about health issues or quality. Particle board is impregnated with Melamine to produce the smooth, durable surface. Melamine is coloured kraft paper, impregnated with resin and bonded in to the surface of the board producing a hardy, colourful, and incredibly durable product. If you wipe moisture spills away, and look after your kitchen reasonably, it will look as good as new for years to come. UDUIT can provide a supplementary range of design solutions to help add functionality to your kitchen. These solutions include Base corner and On Bench Pantry cabinets, as well as Pullouts, oven towers and Drawer Pantry cabinets. 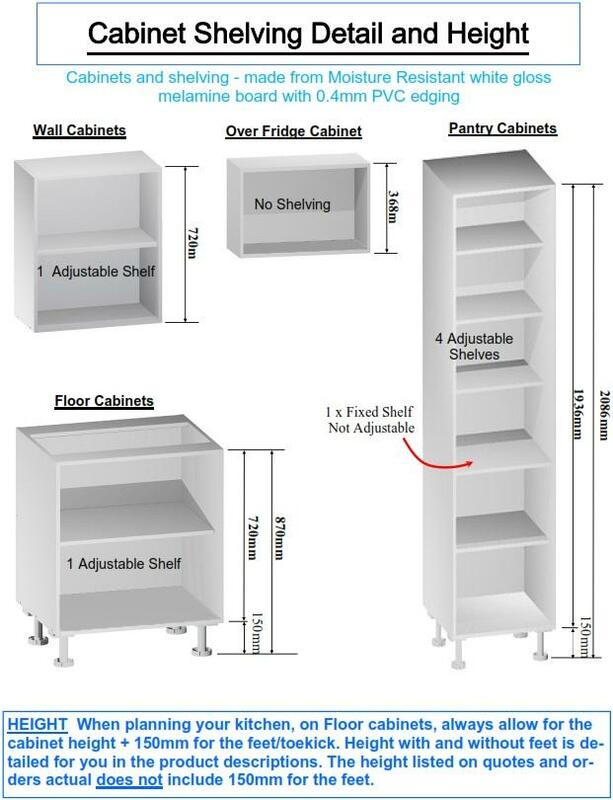 Because of the technical requirements of these cabinets we add these cabinets to your quote for you. Simply complete an online quote of the other items in your design & save it. 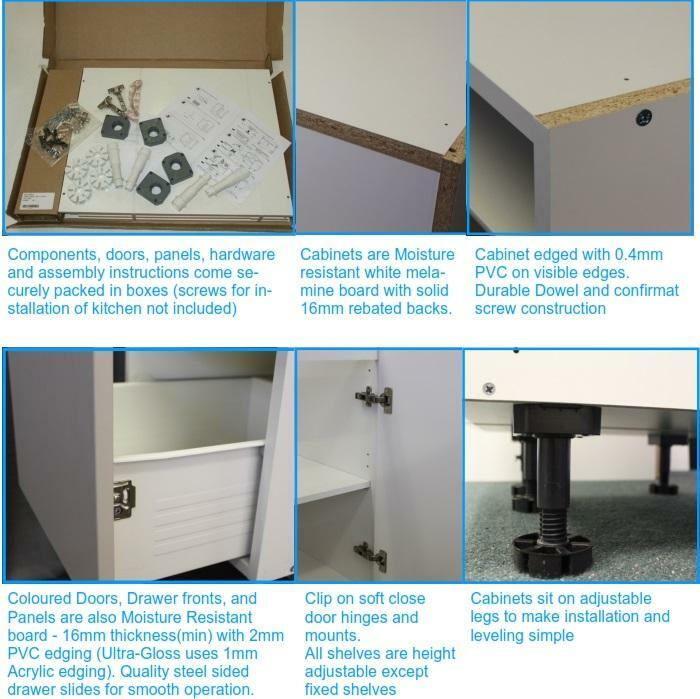 Then email us the details of the cabinet you require and we will add this to your quote for you. 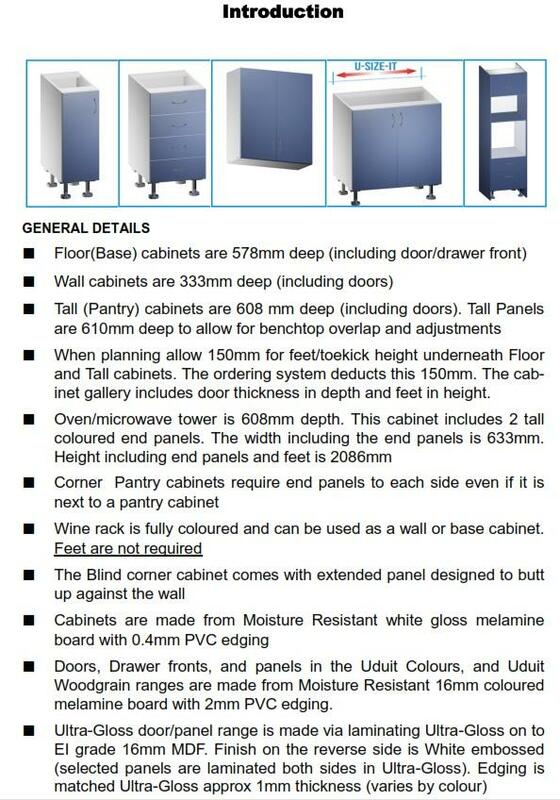 For more information on these cabinets please email us.